The registration period for the upcoming WESG South African qualifiers recently drew to a close. This tournament offers up a chance for the top teams in the country to potentially travel overseas and compete in the World Electronic Sports Games. In the local Dota 2 scene rosters have been shuffling for some time, with teams trying to make sure they have the strongest roster heading into the qualifiers. KChicktay breaks down the top Dota 2 roster changes for the WESG South African qualifiers in the video below. 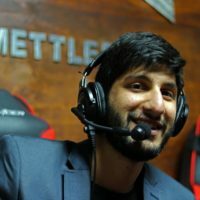 Kaameel "KChicktay" Chicktay is a Dota 2 shoutcaster, podcaster, and interviewer. His most notable achievement is being called the “world's okayest Dota caster” by Beetle001 #MadeIt.